TFS is more widely used for .NET development using Visual Studio .NET IDE. With TFS 2015 Update 3, one can connect to any Team Foundation Server Git repo, using an SSH key. Team Foundation Server (TFS) is an ALM product from Microsoft which provides the capabilities for an end-to-end development and testing using Work Item Management, Project Planning (Waterfall or Scrum), Version Control, Build/Release (Deploy) and Testing capabilities. As discussed in one of our previous tutorial Selenium grid helps to run our test cases in different operating systems and on different browsers. 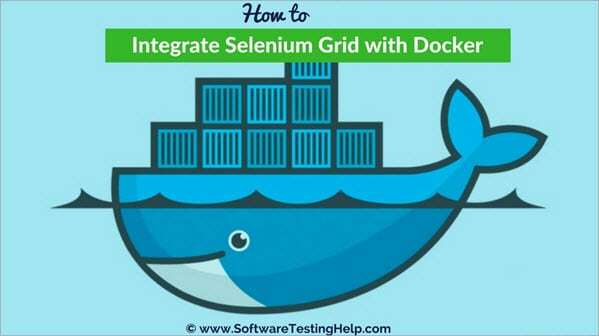 However, this Docker Selenium Tutorial will explain to you more about what a Docker is and how we download, install, and integrate it with Selenium grid along with concerned screenshots and this pictorial representation will enable you to understand the process quickly and easily too. Human beings started storing information even before several decades! And in those days, Flat file databases were used in the computing history where all the data was stored in a file. Later, in early 1970's IBM developed the first Relational Database Model, which introduced “indexes” to easily fetch the data. A Business Analyst who is shortly referred as a BA plays a very drastic and important role in SCRUM. This person is the link between the product owner/customer and the technical IT team. Though we have come across several tutorials on our website on BA, this tutorial will somehow be a unique one and will explain to you the importance of BA in SCRUM. Read moreRole of Business Analysts in SCRUM and Why is a QA Best for this Role? Is There Any Start and Stop Boundary to the QA’s Role in Scrum? This article is not just a tutorial about some processes or methods or instructions about how to work as a QA. Rather, this is an article in which I want to share my own experience of working as a Senior QA in SCRUM. My previous CTO always used to say that ‘With freedom comes responsibility’. If you are given the freedom to do your work in your way then it is you and only you who is responsible for your work or tasks or activities. Read moreIs There Any Start and Stop Boundary to the QA's Role in Scrum? A Complete Guide to Cross Site Scripting (XSS) Attack, how to prevent it, and XSS testing. Cross Site Scripting (XSS) is one of the most popular and vulnerable attacks which is known by every advanced tester. It is considered as one of the riskiest attacks for the web applications and can bring harmful consequences too. In this busy world, we do not have much time to speak with each other. Yes, today's article is all about that. Just imagine how it would be if a developer does not know anything about software testing and the tester does not have even a little knowledge on software development, at such instances we cannot expect a quality software to be released either to the market or to the customers. Which Characteristics Can Make You a Bad Software Tester? We posted several articles that focus on positive factors, good qualities, and positive traits. Everyone wants those positive characteristics and factors to be implemented in their career or life but no one usually focuses on the characteristics or qualities that they need to avoid in their career. Basically, being aware of the negative things/factors that would ruin your life or career, will help you in being a better person. Appium, the open-source testing app, has now been made even better, and thanks to Appium Studio. With Appium Studio, you can cut both the cost as well as the effort of running your automated mobile tests on Appium. This will help you to release high-quality apps even faster.